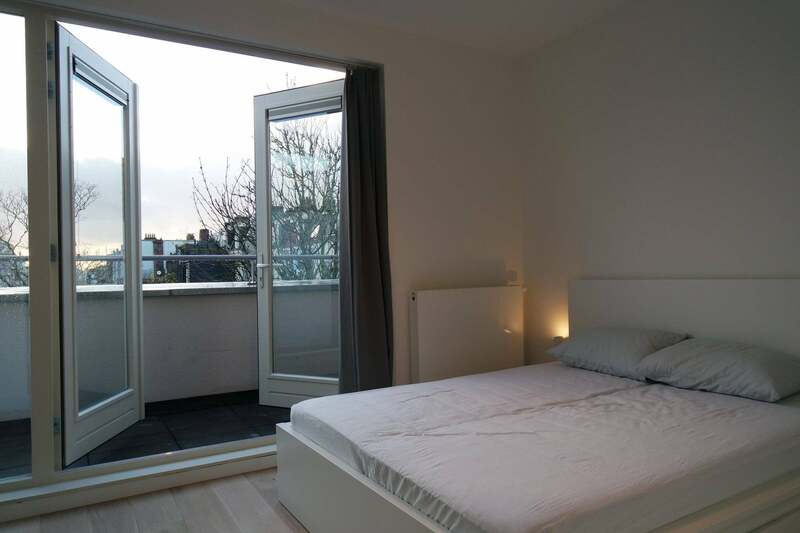 Fully renovated apartment on the Wibautstraat with balcony (west) and roof terrace. Via the communal staircase entrance on the top floor. The open en bright kitchen/living room are situated on the front of the apartment. The kitchen is fully equipped with Bosch appliances (refrigerator, freezer, 4 pits burner, extractor fan, dishwasher and a oven/microwave combination). In the hall you have entrance to the separate toilet and the closet with the washing machine. The bedrood is situated on the backside and has a ensuite bathroom. The bathroom has a luxurious walk-in shower, double wash bassin and a towel radiator. The balcony is also situated on the backside and can be entered via the bedroom.